This is the surprise mail I got from Julie a few days ago! I was just delighted! I LOVE getting things in the mail (other than bills)! See that little fox?! He's just too cute! And look at all the extras! Thanks Julie; you're a dear. I hpsted a 'Slumber Party' Sunday evening. My friend Peggy sells these loving products. Here, you will see Leona, Ang and I modeling our wine rings! Ang, Brandi and Leona are here concentrating on their treasures. I have other pictures, but they're not really appropriate! Katelyn made an interesting Rice Krispy treat sculpture and we ended up at Danielee's becuase my daughter was sick-long story. Before we began the party-we had a little piercing party at my house! I had the gun out and we went to town with our cartilage! (Can't you tell how much they're enjoying it)! Buttons borrowed Audrey's hair bow for awhile. Darling. Chris and Brandi modeled the 80's style tight roll for us. Jace had just got a new skateboard. I will cherish this photo forever! We held Jace's Pokemon Bithday Party Saturday afternoon! I can't tell you enough how blessed we are! Many people that care for us showed up to rally for Jace. Pie enjoyed her cake-alone-in the corner! She's so cute. *note the cake on her leg too! LOVE HER! So these are my first EVER home-made candles! Janalynn and I slaved away for almost 7 hours. It's addicting! I intend to "scrap them up" and I'll photo them when they're done. It may be a bit! I am doing laundry and packing up for our trip to Kansas for Spring Break! We are to leave in the morning. Ugghh.... We're taking the Escape. It will be snug. It's also going to be quite busy there. I will see most of my friends at Summer's crop Friday. Saturday is a surprise party for my big sis! It's a "Nerdy 30" theme! Sunday is Jace and 'Aubreys family birthday gathering at Chuck E. Cheese and in between all of that we'll be RELAXING! HA!! I'm off to complete my mommy duties! Happy St. Patrick's Day! Many blessings to you and yours! MUAH! I have really been feeling 'off' the past few days. There's no particular reason this should be the case, so it's extra irritating. I despise not feeling how I want to feel. It's that kind of 'down and out' feeling-uugghh. I'm trying to remind myself that I can't be perfect-it's impossible. And, I suppose I deserve a break-but I don't feel like I do. I feel under the weather-yet I'm not sick. You get the point. I'm forcing myself to keep a craft date with my friend Janalynn. My spirits were lifted when Brandi came by for a bit last night. We laughed-as always-and I'm so grateful to have found her and her family. Now I'm laughing out loud, as I'm reminded of her falling off of her shoes yesterday! -chuckle- Movie star style.... Oops-she reads this and I've now just shared that glorious and graceful moment with the internet world. I've got a busy weekend coming-but for now, I need some make-up, then we're off to make candles! 1. I'm _faithful____, I'm _content____, I _have to work on some laundry____. 2. Why do I have _so many blessings____ and not _enough confidence____? 4. Every morning, I __take my medicine__ on my _to eat breafast____. 5. I consider myself lucky because _I am taken care of____. 6. One day we’ll see _the ocean again____. That was fun! ....I think I'll add this week's edition too! 1. __Sending surprise mail___ was my last random act of kindness. 3. _Life lives____ in matters of the heart. 4. Coffee, tea or _SODA____. 5. _FAmily should never take___ seperate paths . 6. Our _family____ reminds me that there is _always reason for hope____. 7. And as for the weekend, tonight I'm looking forward to _creating____, tomorrow my plans include _cleaning up a bit____ and Sunday, I want to _go to church____! Hey there! The issue I am featured in has now been released! I am even being considered for the upcoming FULL ISSUE! For those of us that LOVE scrapped-EVERYTHING; it is chalk full of talent and creativeness. So-in honor of my excitement and inspiration; I am giving away a free issue!! What must I do. you ask?! Well-leave me a comment telling me a way that I may have inspired YOU! (If this is not the case, please feel free to "embellish" your story to make it sound good)! lol. 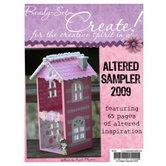 I am also thrilled to be designing for Scraps Galore! I am currently working with the Monky line from Reminisce, and their Easter sruff too! Stay tuned....and don't forget to post! I'll be selecting the winner withing the next few days!! I went to Brandi's last night for the finale of trash t.v.! Is anyone else upset about this jerk?! I totally believed he was genuine and caring! Uggh... Brandi made these amazing delish chocolate covered strawberries...and check out my wine glass! My friend Katelyn surprised me with it! Awwww....I love friends!! It has a B on the front too-and my colors-and dots!!! L-O-V-E IT!!!! Aubrey and Hollan were determined to walk to Danielle's (2 houses down). They were so cute looking both ways at the v of our edition! I hosted a Mardi Gras crop on February 28th! It was a blast! We laughed and talked and ate and even scrapped a little!! I really enjoy these girls. We are without Pam and Vivian in these photos, as they had already left-but really-it was GREAT!! I'm preparing for the "Spring has Sprung" crop that will be April 3rd, and then my first "Crop-for-a-Cause" in May to benefit the Haven House here. I am also beginning a program for/with the battered women. I'm really excited for that. We will be heading to Kansas soon. I'm gathering a few things to bring back. There is a crop gathering the Friday and Saturday we'll be there. It looks as though the schedule willl be full, so I may stop in and see old friends, but likely not create. Oh-and Jace's Pokemon Party is on the 14th before we go. He'll be 8!! Then there's St. Patrick's Day-and Elizabeth called from Scraps Galore. I meet with her tomorrow to discuss doing some work with them!! YAY!! And-(yes, there's more) I began my training for the Pastoral Care team with church. We visited a young lady just diagnosed with T-cell Lymphoma (sp). She's 21, engaged, and has a 4-year-old daughter. They do not expect her to go home. It breaks my heart and we are praying for her and her family. Please add them into YOUR prayers as well. May the Lord do his will in their lives, and may he bring peace to their aching hearts. This may be harder than I anticipated, but it's a joy to share in their lives. I'm off to the post office to mail bills !!! Oh- and I have a deposit to make to help cover them! lol. Have a blessed day. Take a moment to be thankful for where you are in life. Not just because of this woman, but because of the economy. Count your blessings. I count YOU! P.S. I have no idea why the type is underlined-or how it got that way. I messed this post all up! Ahh...computers-and their operators! Have a GREAT-blessed day!